Motul Motor Oil - OEM Specific LL-14 FE+ 0W20 MINI - Brakeswap.com - Friction for the Win! 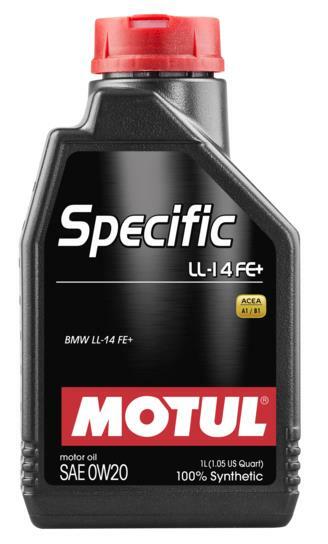 100% synthetic lubricant – Fuel Economy – specially designed for BMW and MINI gasoline engine requiring an approved BMW LL-14 FE+ lubricant. Bring Feul Economy while protecting the engine. Compatible with Catalytic converters (CAT).